We named one Oreo, and the other is Hiccup. We picked the name Oreo because she is black on the ends and white in the middle like an Oreo. We picked the name Hiccup because he looks a lot like the dragon from the movie How To Train Your Dragon but acts like Hiccup in How To Train Your Dragon. 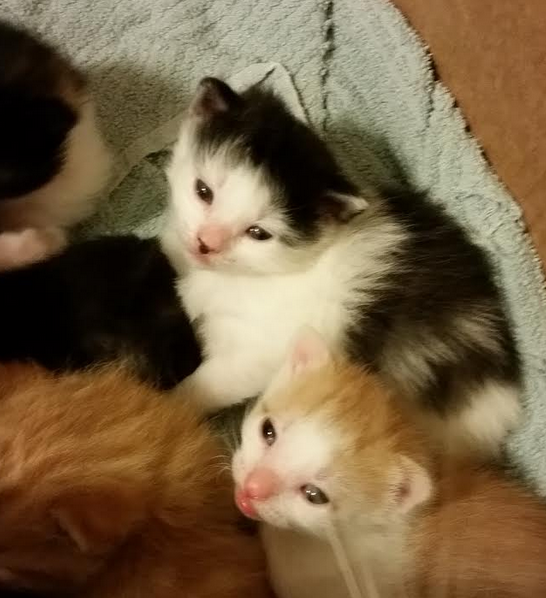 We have two “named” so far. 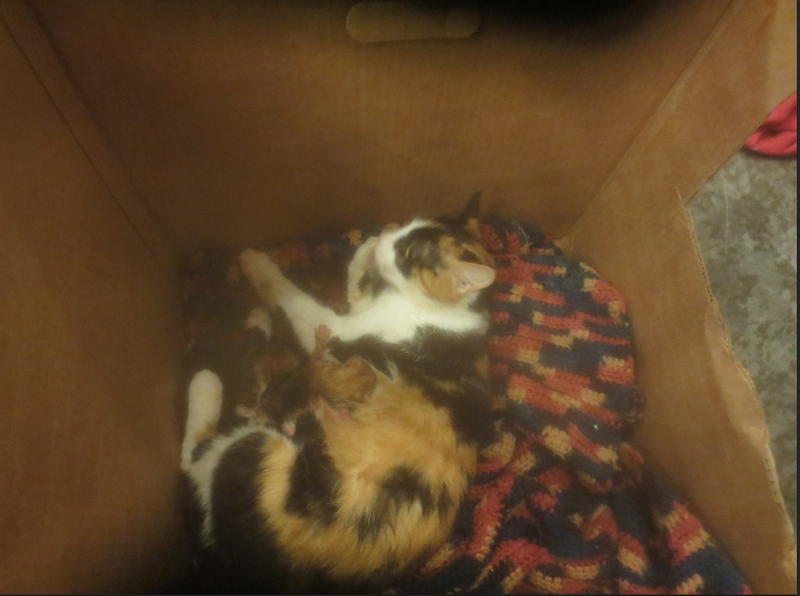 One is named P.J which stands for Patches Junior because she looked a lot like her mom (who is named Patches). 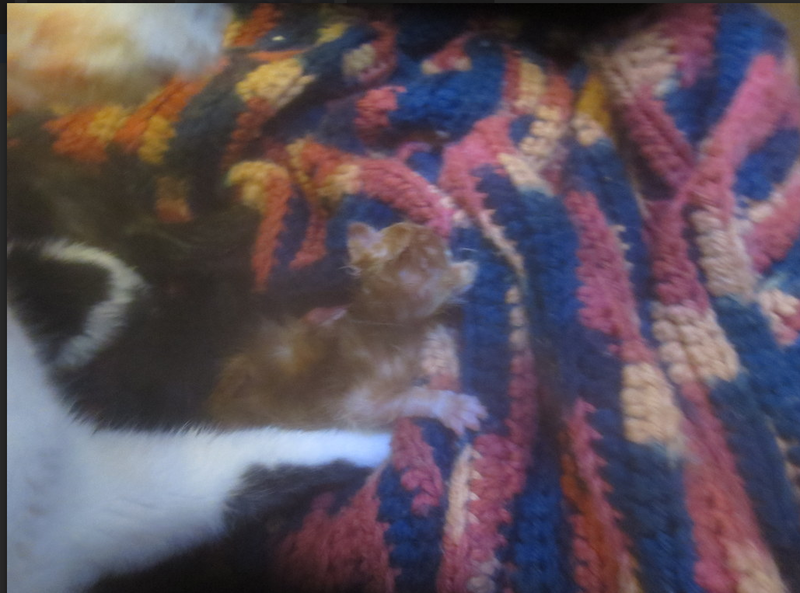 The other is named Dozer because he is huge and pushes the other kittens out of the way to nurse. P.J. 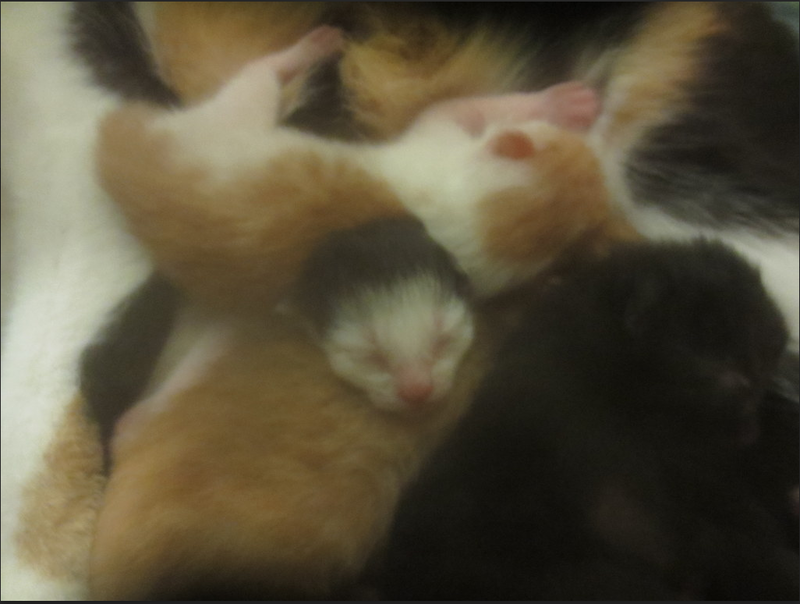 is on the top left and Dozer is the one closest to the camera (that looks like a tiger). 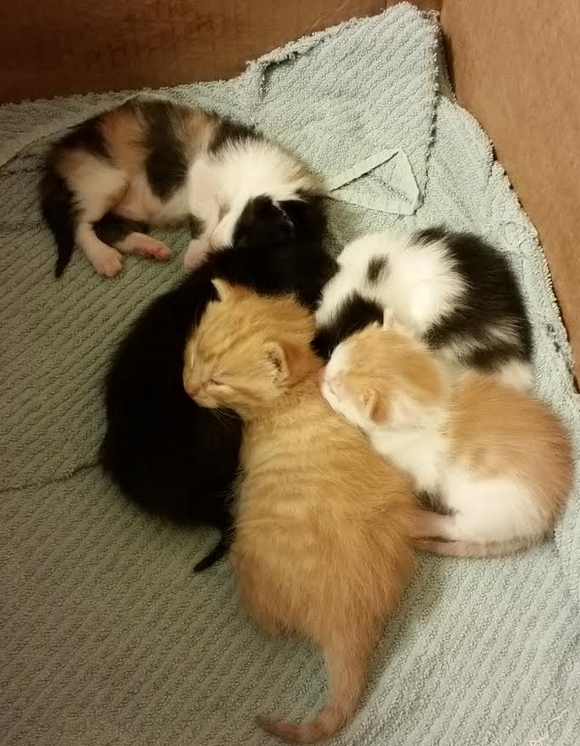 What should we name the other three? 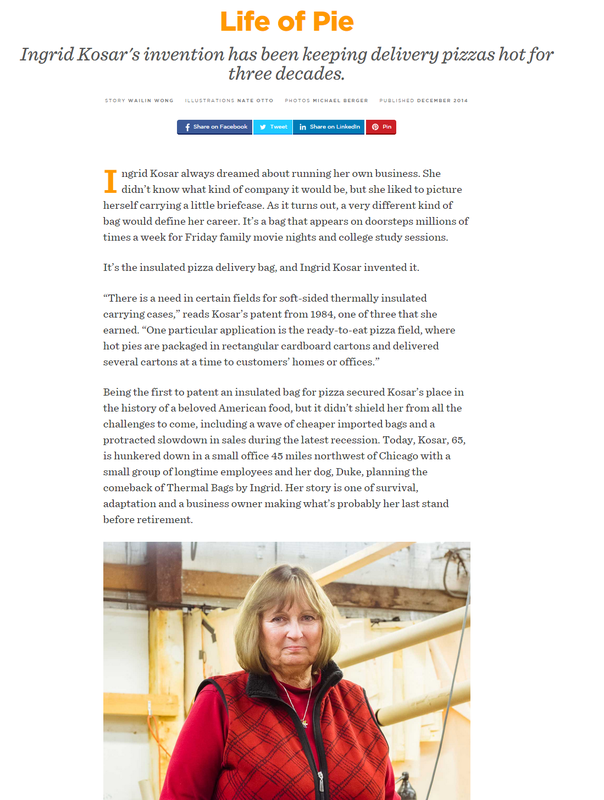 The Distance is an online magazine that features different businesses in each article. I recently read an article titled “Life of Pie” which was written by Wailin Wong. Do you like your delivered pizzas hot? If you do, thank Ingrid Kosar. Ingrid Kosar invented the pizza delivery bag that keeps pizzas hot until the pizza delivery man gets it to your door. 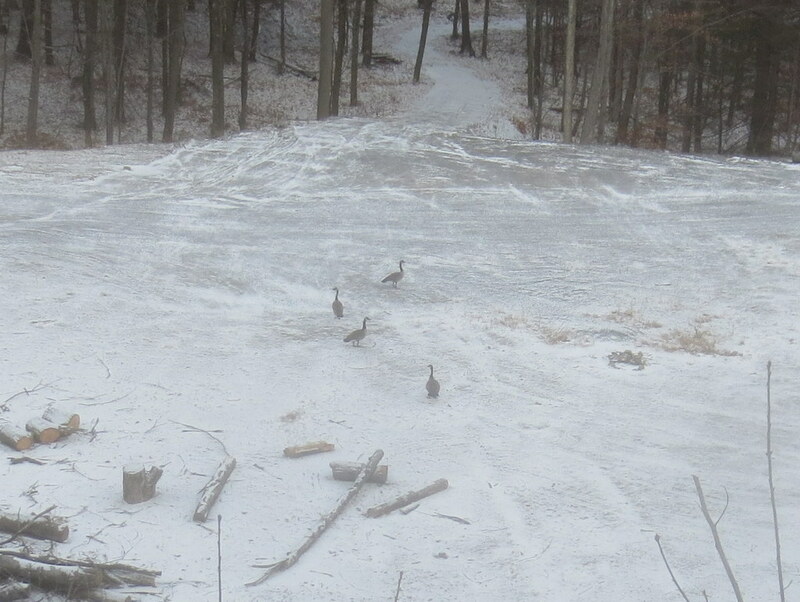 We saw four geese… and first snow! Here are a few facts on geese. Geese are a type of waterfowl belonging to the group of Anserini. Geese mostly eat greens vegetation and grains. There are three kinds of true geese gray geese, white geese ,and black geese. Some Geese do amazing things while they are migrating. There is a species in Asia, Bar-headed Geese (Aner indicus), that migrate over the tallest mountain in the world (can you guess?) in the Himalayan Mountains. The air temperature is as low as -60 Degrees F.
Now that is a “wow”. Wikipedia contributors, “Goose,” Wikipedia, The Free Encyclopedia, http://en.wikipedia.org/w/index.php?title=Goose&oldid=633827032 (accessed November 19, 2014). 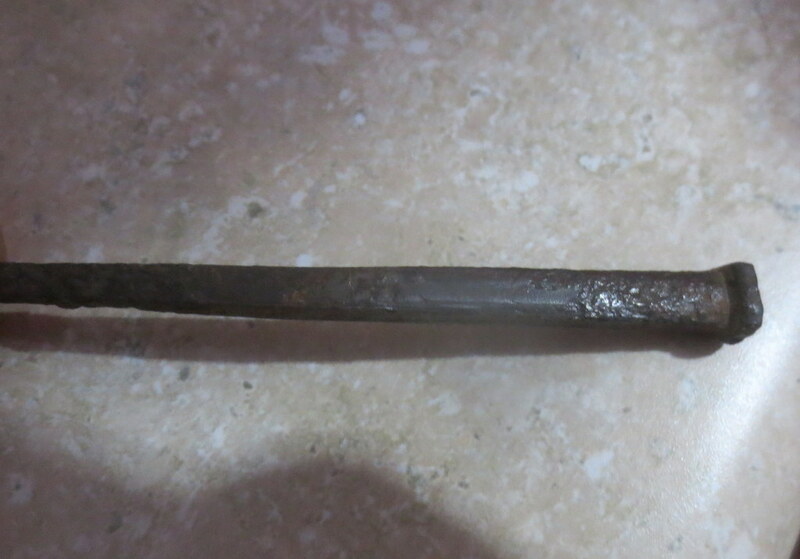 We have some old hand forged nails. The nails were made by a blacksmith. We polished them with a Dremel tool using a wire brush. 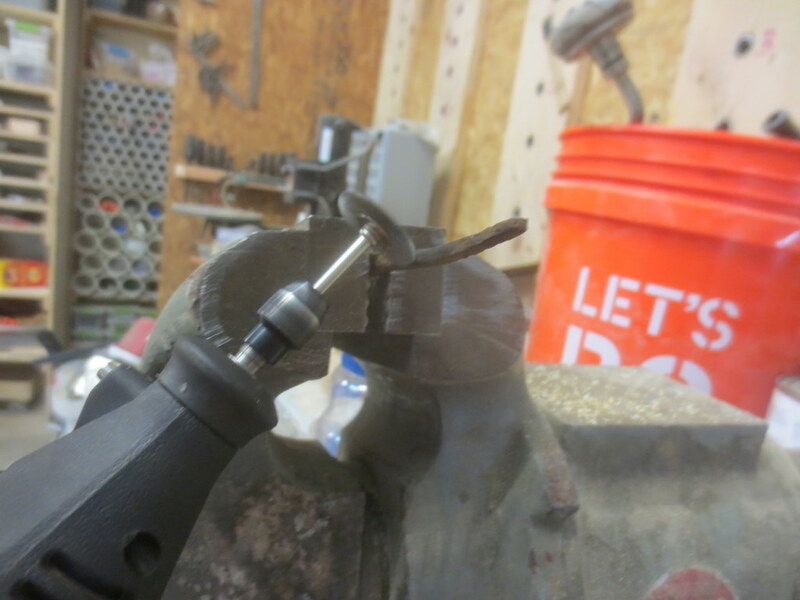 Did you know that a Dremel tool can spin 500 times per second? Wow. We wore safety glasses to protect our eyes. 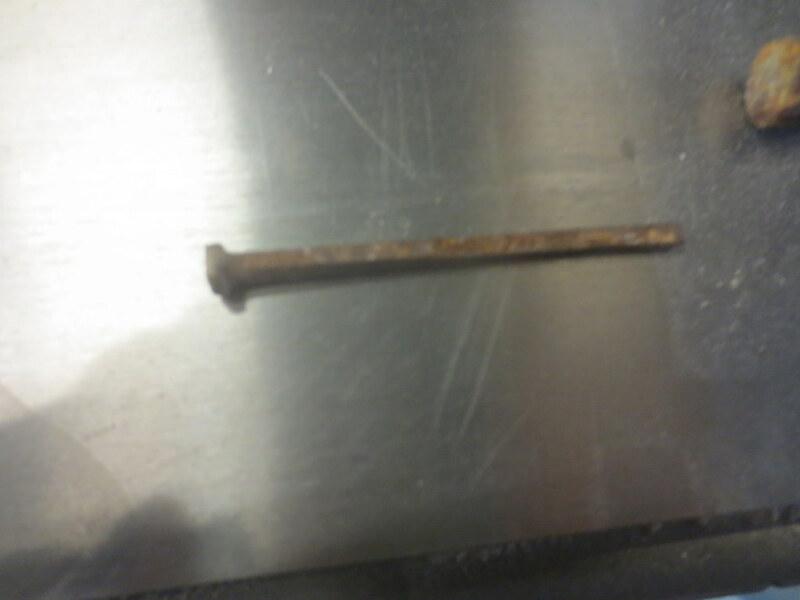 Here is a polished nail. Here are some facts on old nails. Old nails were once so valuable that when a building burnt or fell down people went through with magnets to find the nails and save them. 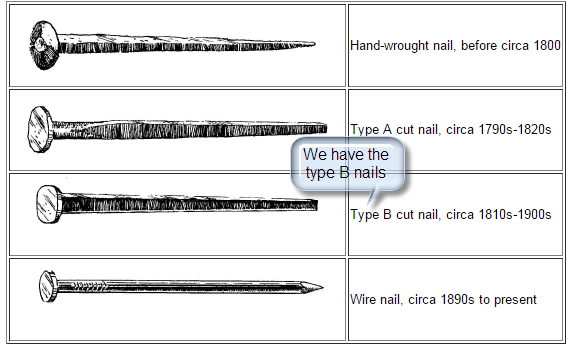 Nails provide one of the best clues to help determine the age of historic buildings, especially those constructed during the nineteenth century. Between the 1790s and the early 1800s, various machines were invented in the United States for making nails from bars of iron. 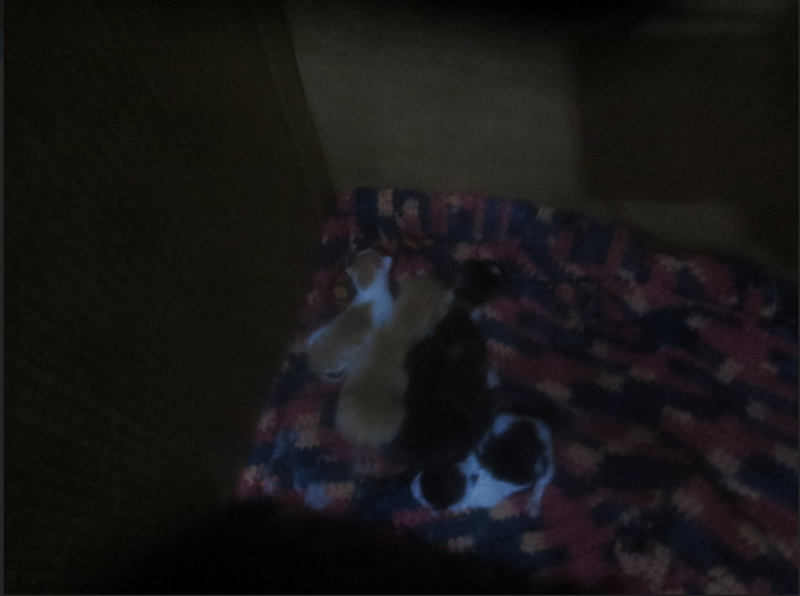 We got two kittens in the beginning of summer, but they are teenager-cats now. This is Shadow, who is a very good hunter. She only likes to go to places her sister has already explored. 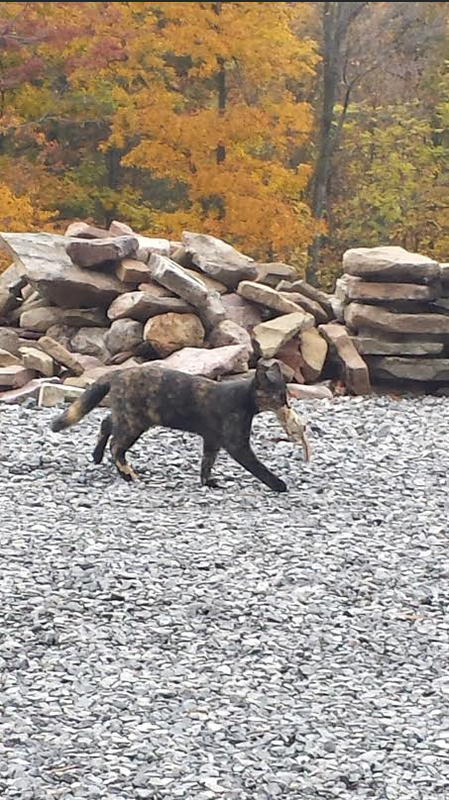 This is Shadow holding a chipmunk that she caught! This is Patches, she is the explorer. When we first got the kittens, Patches explored the house. I guess that after a while Patches must have told Shadow that it was safe because Shadow started going with her everywhere. 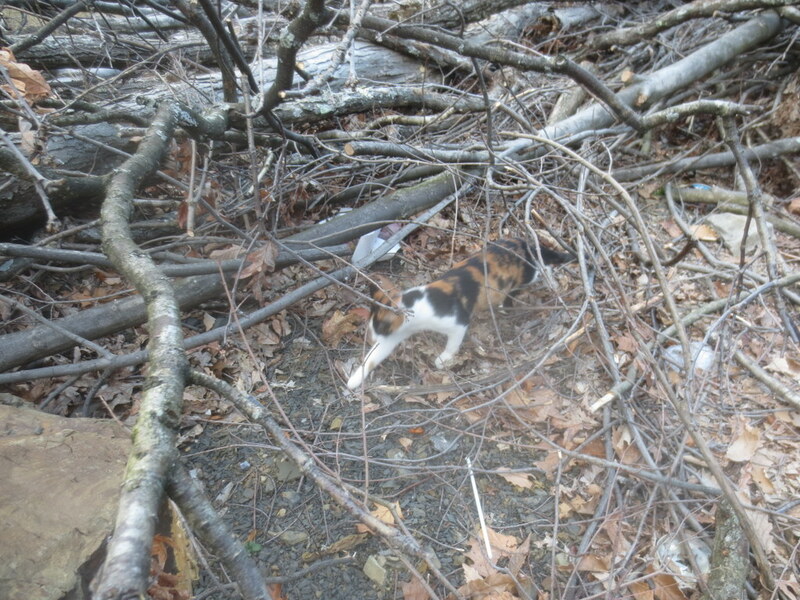 This is Patches exploring our brush pile. 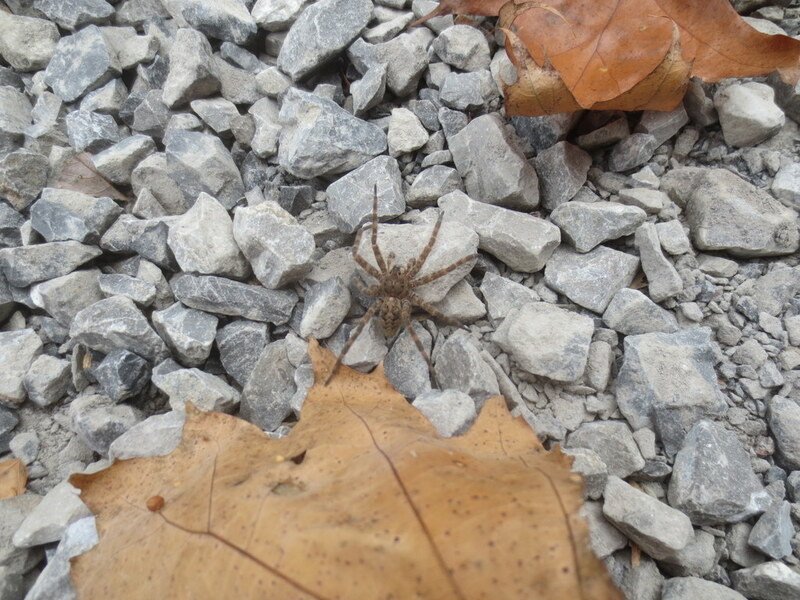 Here is a big spider that we found while raking leaves today. Spiders are air-breathing arthropods. They are found in every continent except Antarctica. Spiders mostly prey on bugs, but few large species prey on large birds and lizards. Argh, that is scary!